We appreciate the Norwalk Inn for continuing to be a wonderful host! Take Route 7 South to 1-95 North (toward New Haven). Take East Norwalk, Exit 16. Take a left at the traffic light. Go straight for 1/4 mile. The Inn is on the right. Take a left at ramp’s end to the first traffic light. Turn left on Newtown Avenue (becomes East Avenue). Continue for approximately 3 miles. The Inn is on the left. Follow Route 7 South to Interstate 95 North (towards Bridgeport). 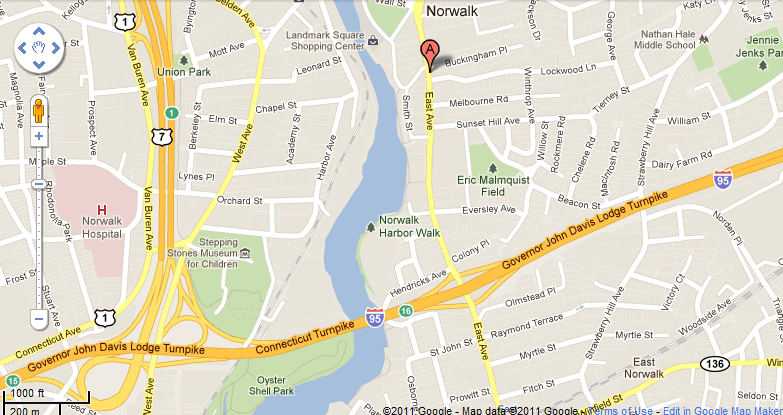 Take East Norwalk, Exit 16 (one exit south).